How to respond when brides think you are too expensive. If you’ve been in the wedding industry for any amount of time, you’ve heard this objection from brides before. 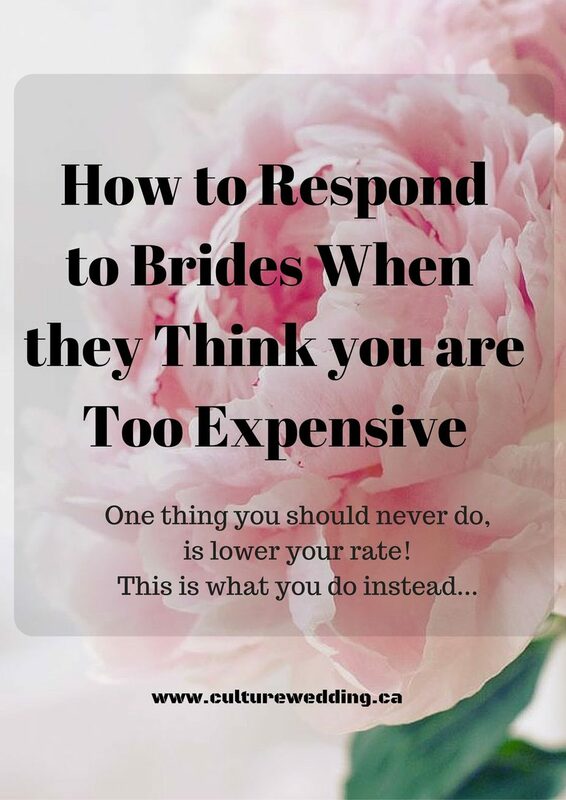 Your first reaction as an Event Professional would be to get offended, but sometimes, brides think this way because of preconceived notions about the industry and the value of your services. 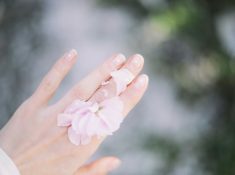 Before you get all upset and frustrated, you should take the time to uncover why they feel this way – sometimes it can save you a potential booking that might give you so much more trouble down the line. Before we get started, we would love for you to join our growing Facebook group right here! You can also join our Pinterest group by following the instructions here: Pinterest group board for Wedding Pros! 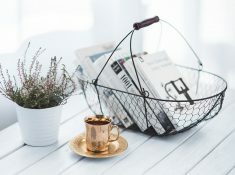 We also did want to mention that we use affiliate links on some of our posts. This means that if you click on an affiliate link, we make a commission from it. What happens when a Bride doesn’t want to pay your price? It’s a great price when the value is higher than the fee. It’s too expensive when the fee outweighs the potential value. Getting the delicate price/value balance correct can take a while. If you’re charging a premium price for your wedding services, you better be offering a better-than-average product or service (and in some cases, both)! While you want to make as much money as possible, you have to charge what is appropriate for the value of your wedding services. After all, your potential client can always go to Google and find other wedding professionals that are much cheaper. You are doing something wrong if you never have a client tell you that you are too expensive! You might be under changing! One thing you should never do is lower your rate as soon as you hear them say “you’re too expensive”! If you offer a lower discounted rate, they will automatically think they can negotiate an even better price by pushing you harder. Proceed by asking them what their budget is (which you should have already determined). 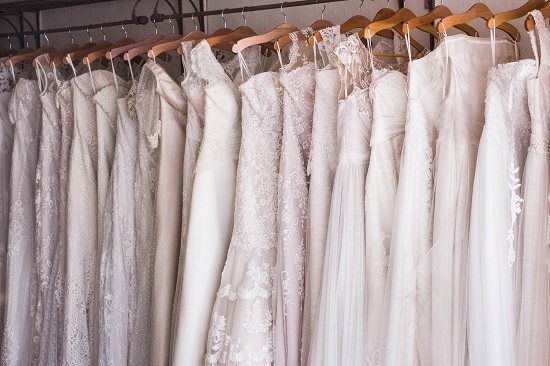 Find out exactly what the bride is willing to spend. Some clients may not have a budget in mind. 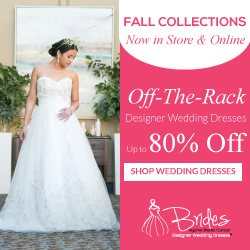 If your bride has been shopping around, trying to find the best deal out there, there is nothing much you can do. A bride might come to you and tell you that your prices are much more expensive than the other professionals they have already met with. If another wedding professional is charging $75 per floral arrangement, for an arrangement that is worth $150, that you can not control. You can only hope the flowers they will be using are worth it, otherwise, how will they make money? The best thing to do in this case is to explain why you can not charge $75.00 due to the quality of material or services you offer. If you have a sample arrangement, you can go as far as showing them what a $75 floral arrangement looks compared to a $150 arrangement. Let them choose which they prefer. If you really want this client, try adding more value instead of discounting your products or services. 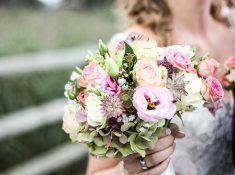 If you are a florist try offering to add a throwaway bouquet at no extra charge! Instead of focusing on the question, focus on the value the bride will get. Draw them the bigger picture and let them imagine their perfect wedding. Throw in as much value as your price can allow and hope for a booking. You are in business to make money, not to lose out! Once a bride understands the value of your services they will book you. Offer a payment plan that will work with their budget. We have mentioned this before, ask the couple what their wedding budget is. This must be part of your streamlining process! If you ask your couple what their wedding budget is, they will give you a number to work with. Remember, sometimes they might not know what this number is. If they have a budget of $900 for wedding DJ services, explain to them what exactly they can get with that budget. And give them, the option of upgrading should they want extra hours, more lighting and maybe more equipment. You can also give them the value of booking a bundle package which may be more beneficial for them. This way, all expectations with the client are laid out at the beginning. Typically clients that do not have a budget are usually not ready to buy your services and may not be worth pursuing. Asking what their budget is a good way to find out how serious they are about booking. This is the best way of weeding out serious clients from those that are just shopping around! Do They Really Need Your Wedding Services or Products? Sometimes clients may just be shopping around. Give them your price and suggest they contact you should they wish to move on with your services in the future. You will know who these clients are when they say ” Thank you for your time, we will think about it and we will see if it works with our budget”. They may or may not contact you back. Either way, be firm on your price and if they do book your services, they will know your value. I usually give them a wedding budget template that outlines the going rates of a particular service. Unless you are dealing with budget-friendly brides, these clients will always want cheap. They will not understand the value of your work and therefore will not understand your wedding pricing. We suggest not wasting time on these clients as you might not be able to satisfy them. They will often want more and you won’t make money! If they are being very pushy about your prices from the beginning, take this as a red flag. Work with your dream client as both parties will have a great time planning the wedding. In other words, the best way to deal with the price question is to really focus on the value, your customer service, and great wedding portfolio! If a bride landed on your website, it is because they were attracted to your work, your wedding blog is highly successful and because you are a successful wedding professional! And sign up to receive me valuable information here! If you love this post, you can pin it to your event planning board.